The event will feature casino games such as blackjack, roulette, craps, slots, 3 card poker, a big money wheel and more. An exclusive poker tournament, dancing, libations, heavy appetizers, cigar rolling, and amazing drawing prizes. You don't want to miss this. Sponsorships, VIP packages, and individual tickets are available for this exclusive fundraiser. Over 21 only, please. Formal Attire. Individual tickets are $150 each.Advance purchase tickets only, no tickets will be sold at the door. 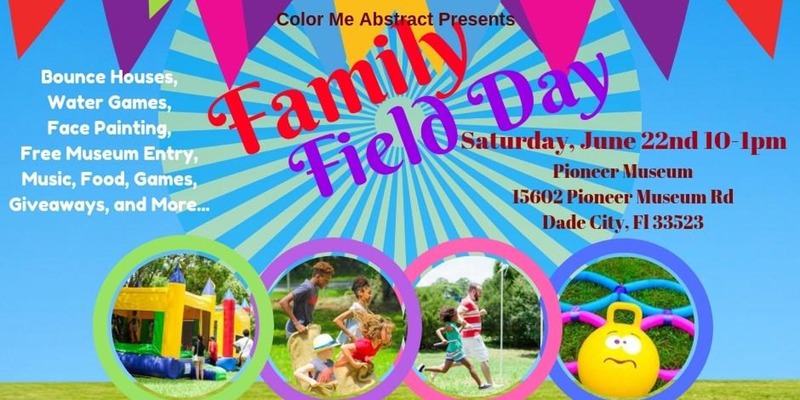 Get your competitive spirit on and join us for Color Me Abstract's third annual family field day at the museum. We will have classic events such as sack races, relay races, and much more. This event is FREE and fun for the whole family! (a safe haven for abused/neglected children) in lieu of entry or parking fee. Next meeting, May 17, 2019, 6:00 p.m.
Every other month, starting in January, 6:00 p.m., usually the 3rd Friday. At the Pioneer Florida Museum,. Different speakers and presentations each meeting. Pot luck - please bring a covered dish, your table service and drink (disposable plate, fork, knife, and spoon). Held in the Mabel Jordan Barn, enter through Gate 4. For more information, please contact: Glen Thompson,(352) 567-7449 or E-Mail: bookbollard @ iCloud.com . Historical society meetings are free and open to the public. 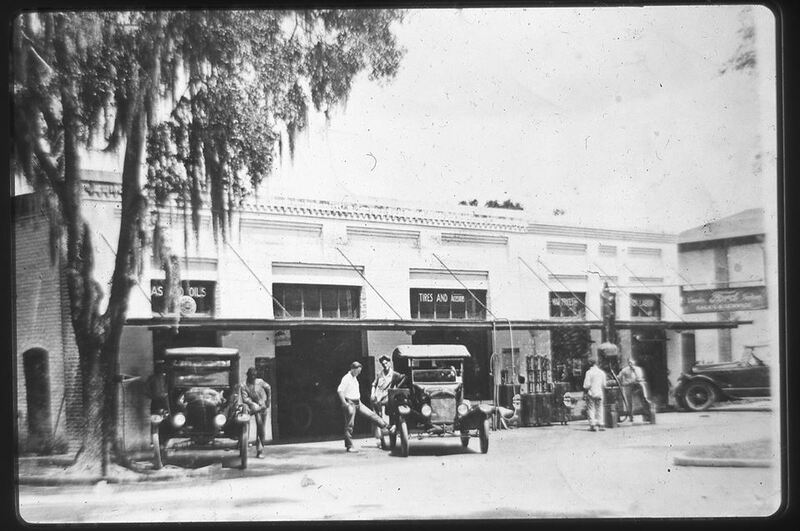 LOCATION: The museum is located 1.3 miles north of downtown Dade City, at the corner of US 301 and Museum Road, turn east onto Museum Road and cross the railroad tracks. 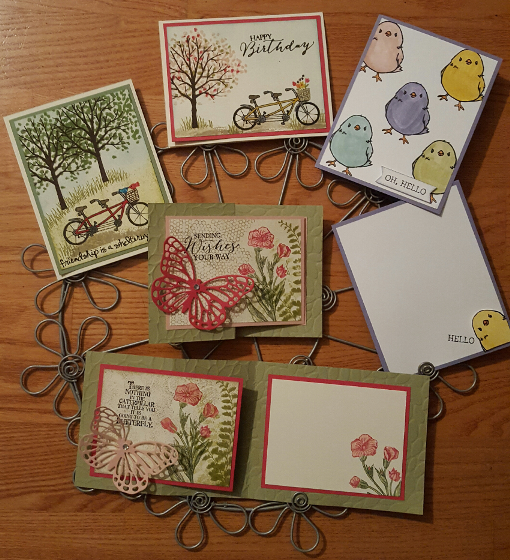 Cards shown above just an example, not actual cards you will make in class. 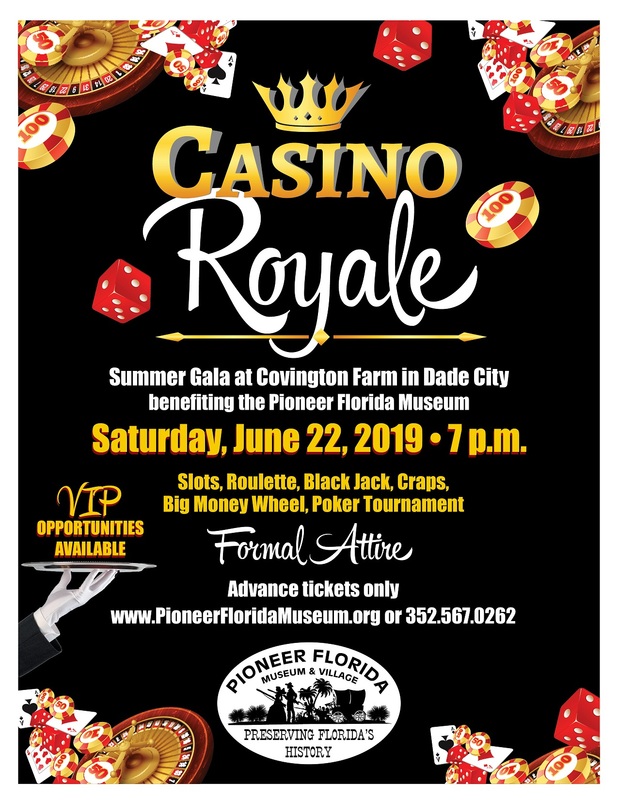 please email or contact the museum to reserve your spot 352-567-0262. Weaving is both a fun and useful craft. You can make rugs, blankets, table linens, shawls, scarves, fabric for clothing, etc. This class provides an introduction to weaving with an emphasis on multi-harness looms. At the end of this class you will be able to purchase and use the loom of your choice with confidence. In class, you will prepare a 2-harness loom and weave a mat on it. As you make the mat you will learn the parts of a loom and their functions. Other topics include various weaving terms and tools; reading a weaving draft; and calculating the amount of yarn needed for a project. Other types of looms (i.e. rigid heddle, inkle, & tablet) will also be demonstrated. * 1st Saturday of each month 10am to 1pm. A break for lunch is not included, but you may bring a sandwich or similar light snack and a drink. Register today, please email or contact the museum to reserve your spot 352-567-0262. Admission varies for special events. No dogs, please. Service animals only.